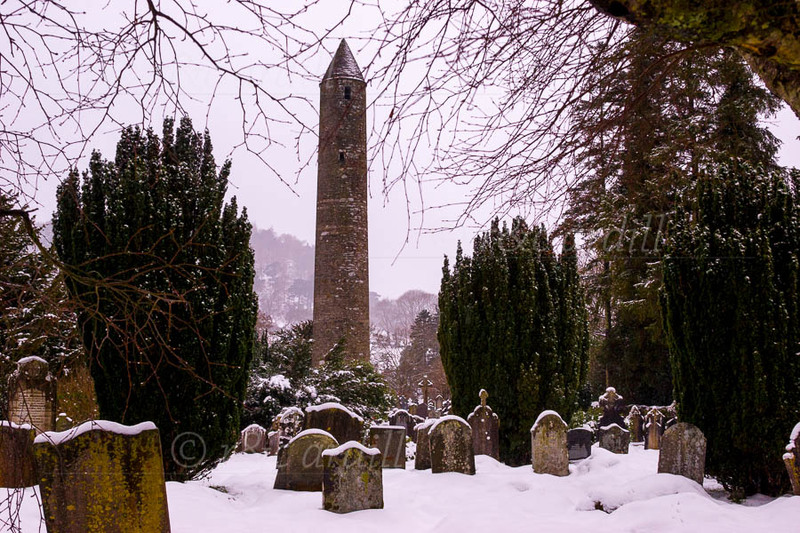 A snowy scene of the great Round Tower, part of the Early Medieval monastic settlement at Glendalough. Round towers were landmarks for approaching visitors but they were also bell towers. At times they served as store-houses and as places of refuge in times of attack.